“Captain Dusty Ayres must be killed at all costs… Kill him on sight… All Black agents report immediately to headquarters…” Agent 10 stared as he listened to this enemy radio message. The first part was not surprising, but the second could only mean that the Blacks were preparing to launch a new offensive—the move which America had been expecting for a long while. But where? How? When would it strike? 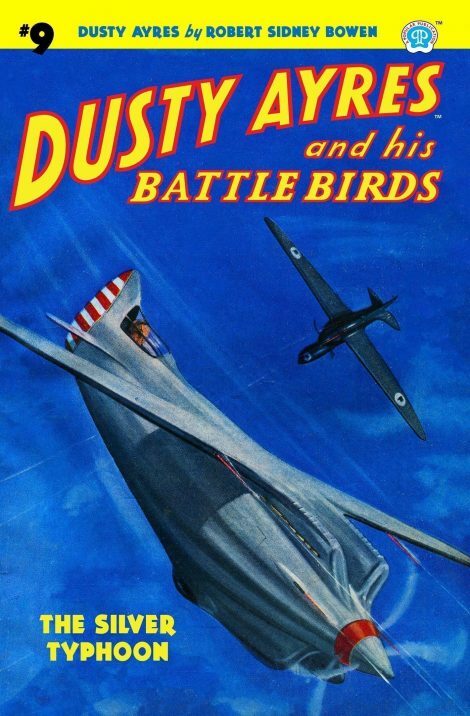 It was imperative to answer these questions before it was too late—and grimly Dusty and his battle eagles take up the trail, follow it across the Atlantic into enemy skies!